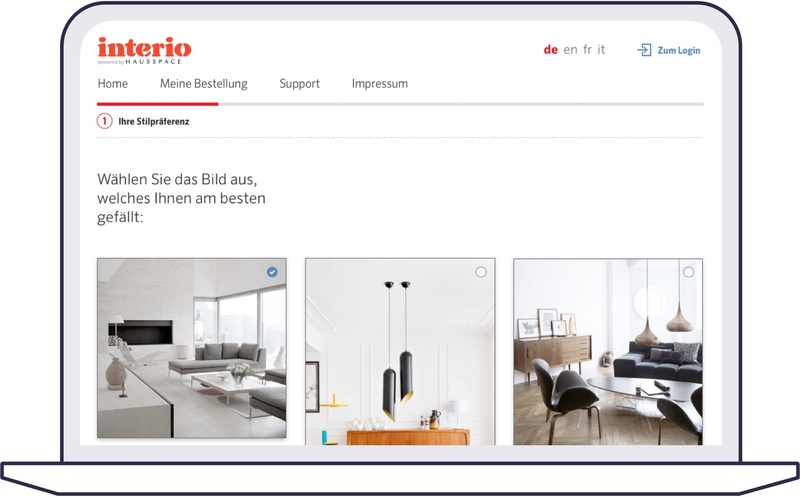 Taking interior design advisory to the digital era. 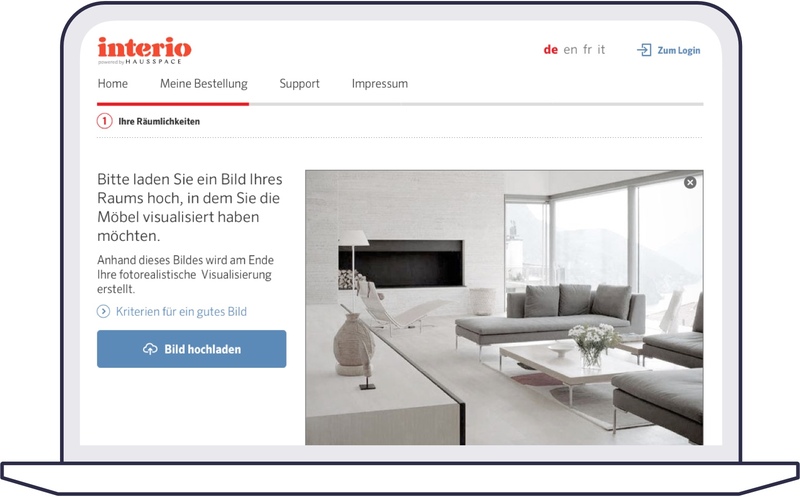 The digital transformation of Interio included three neat workflows to help customers find their individual furnishing preferences. 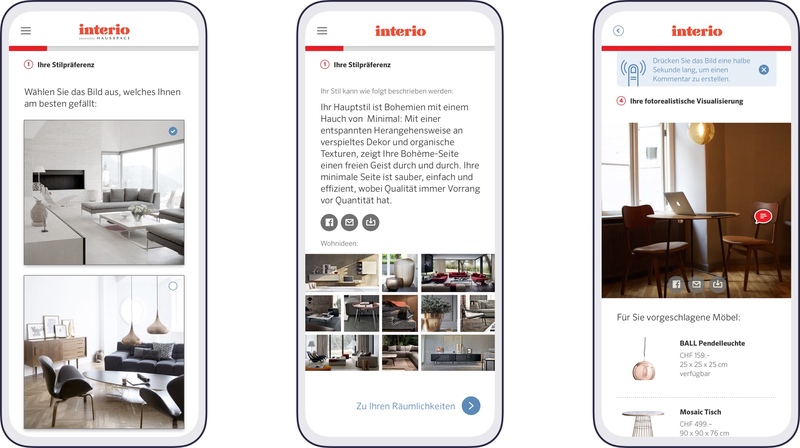 Interio is a lifestyle warehouse that offers three digital style advisory workflows: a style quiz, a furniture visualization and an individual interior design advisory. The advisory includes a personal designer, moodboards and a visualization of a complete interior design. Redefine delivered the interaction design patterns, the responsive web designs for all processes and UI/UX design consulting. This project was a collaboration with the startup hausspace. 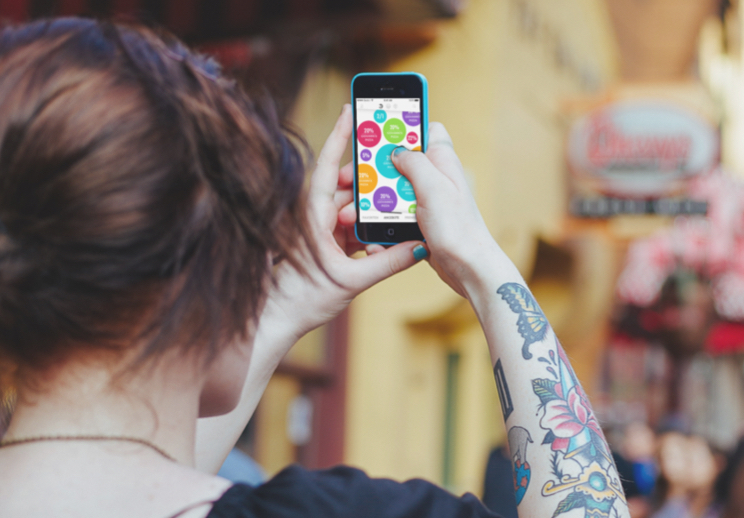 Breaking down the process into a clear structure to keep the users attention. 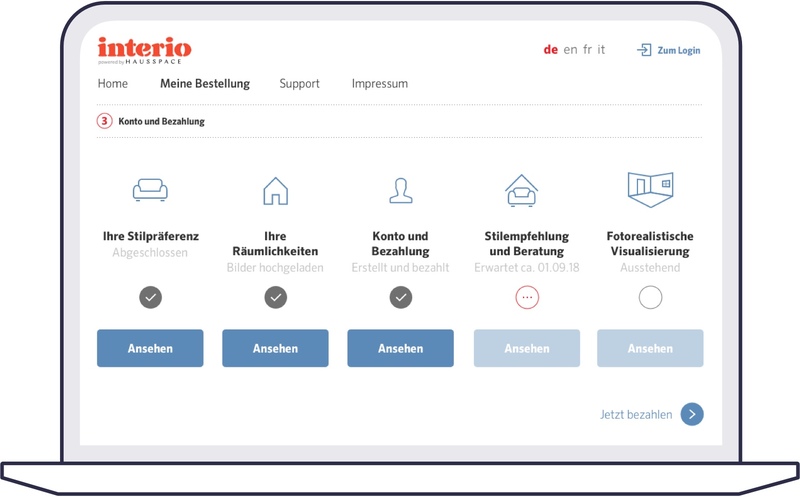 Explaining the concept of the digital advisor in a simple way.